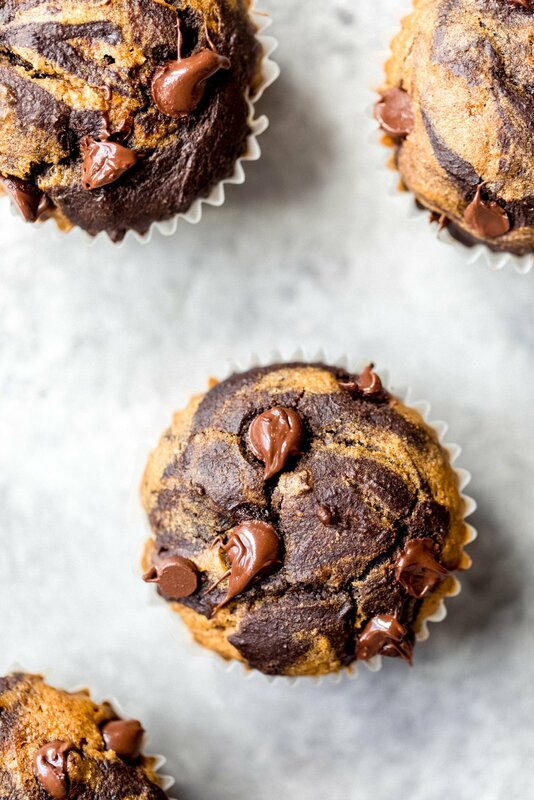 Incredibly fluffy marbled chocolate pumpkin muffins swirled with pumpkin spice batter and double chocolate batter. 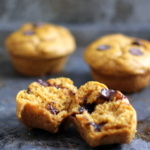 These muffins are made with wholesome ingredients and make the perfect snack or healthier treat. Welcome to the annual #AKPumpkinWeek where we celebrate all things pumpkin related and do a fun giveaway to kick off the season. 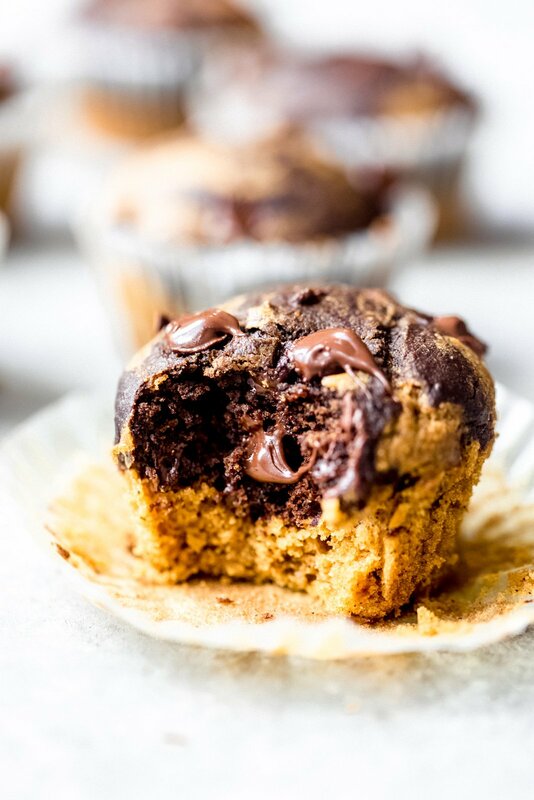 I’m super excited to bring you these chocolate pumpkin muffins because quite frankly… THEY MIGHT JUST BE THE BEST MUFFINS I’VE EVER MADE. 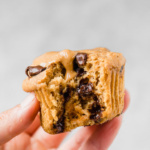 They’re moist, full of both chocolate and pumpkin flavor and taste more like a fluffy cupcake than a muffin. I would like to live in these little swirls. YASSS. If you’re ready to cozy into fall weather, bake your heart out and fill your home with the best smelling spices around, then get ready for a week full of delicious nourishing recipe. This year, we’re doing both sweet and savory, which means you’ll have something to make for breakfast, lunch, dinner and dessert. So let’s do this thang. 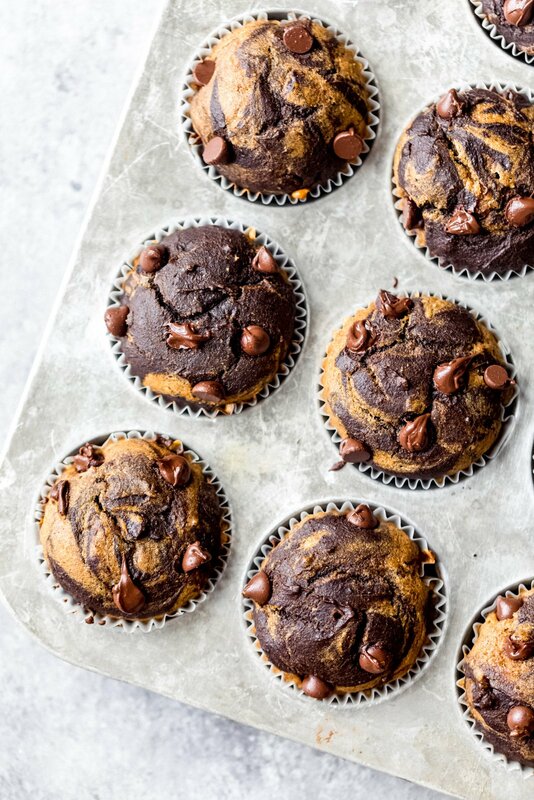 These marbled chocolate pumpkin muffins start by making one batter, then you’ll divide it evenly into two bowls and add a little cocoa powder to one of the batters. Once you’ve done that you can alternate adding the batter to muffin liners. Then you’ll use a knife and swirl the batter just a few times. Don’t over do it or your batter will look all mixed together. We want to keep them pretty. Before baking, don’t forget to top them with a few million dollar chocolate chips if you know what’s good. Bake them up. They’ll be glorious, I promise. I MEAN JUST LOOK AT THESE. How could you not want to bake them? They’re beautiful, satisfying and even freezer friendly. 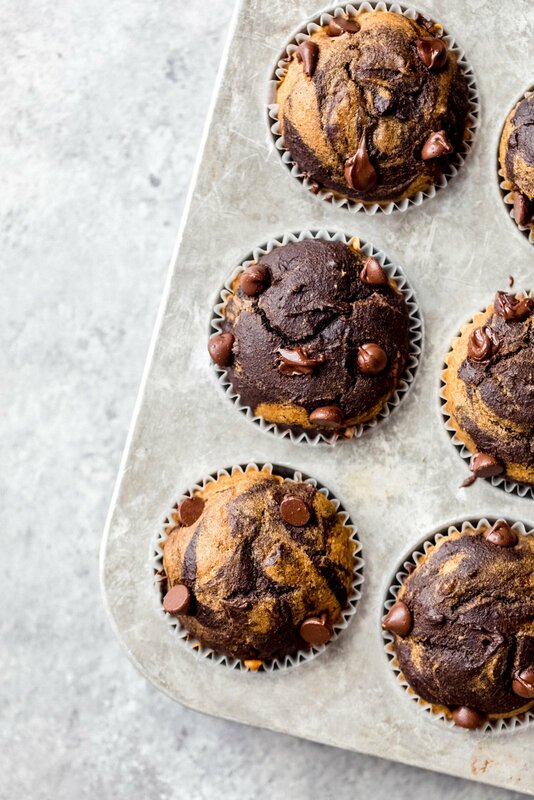 Incredible marbled chocolate pumpkin muffins swirled with pumpkin spice and rich chocolate. 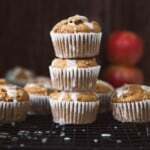 These muffins are made with wholesome ingredients and make the perfect snack or healthy treat. In a large bowl, mix together pumpkin, maple syrup, eggs, almond milk and vanilla extract. In a separate large bowl, whisk together the dry ingredients: whole wheat pastry flour, baking soda, cinnamon, nutmeg, ginger, cloves and salt. Add dry ingredients to wet ingredients and mix until just combined. Next, stir in melted coconut oil. Divide batter in half; adding half of the batter to a seperate medium bowl. Stir in cocoa powder and ¼ cup chocolate chips into one of the batters, mixing until just combined. 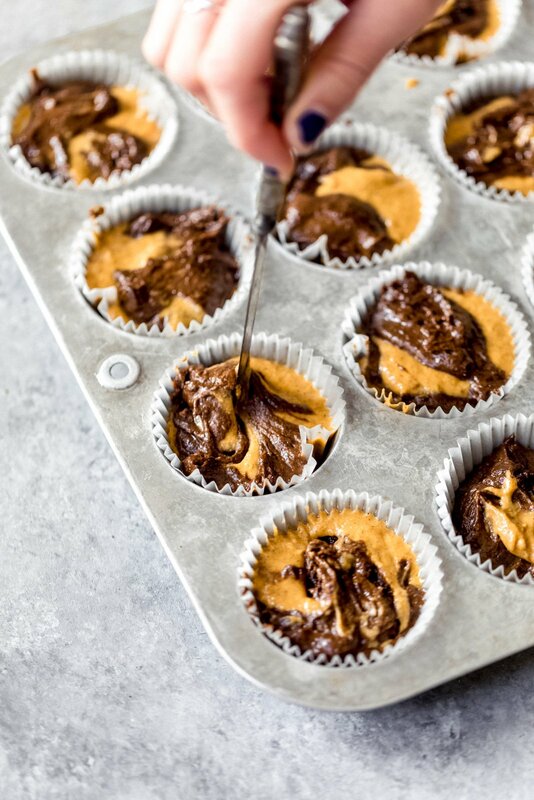 First spoon a less less than 1 tablespoon of the pumpkin batter into each muffin liner and then spoon 1 tablespoon chocolate batter on top. Repeat until all of your muffin batter is gone. Swirl the batters together with a knife, just about 3-4 times. Don’t go crazy or the batter won’t look nice and swirled. 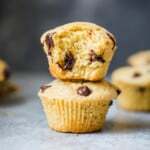 Gently shake your muffin pan back and forth just a few times to even out the batter. Top batter with remaining chocolate chips. Bake for 20-25 minutes until a tester comes out clean. Mine were perfect at 22 minutes. Cool in pan for 10 minutes, then transfer to a wire rack to finish cooling. To make the muffins gluten free: I recommend using Bob's Red Mill 1:1 gluten free flour. You can also substitute chickpea flour, but you may need to add a splash or two more milk to the batter. 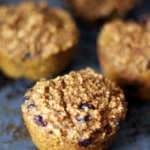 To make muffins vegan: Use two flax eggs instead of regular eggs (2 tablespoons flaxseed meal + 6 tablespoons water). Please also be sure to use vegan chocolate chips (Enjoy Life is a great brand). 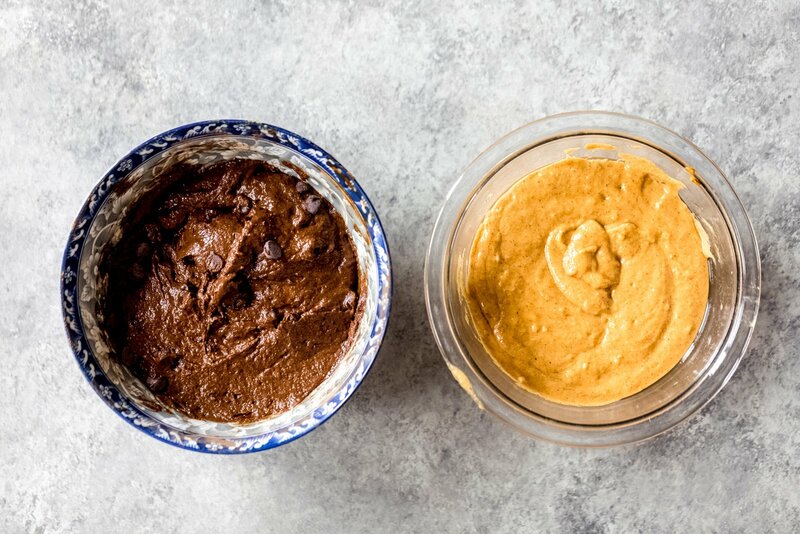 Feel free to make this recipe into bread! Just layer the batter in a greased 8x4 inch loaf pan. Bake for 45-55 minutes or until tester comes out clean or with just a few crumbs attached. 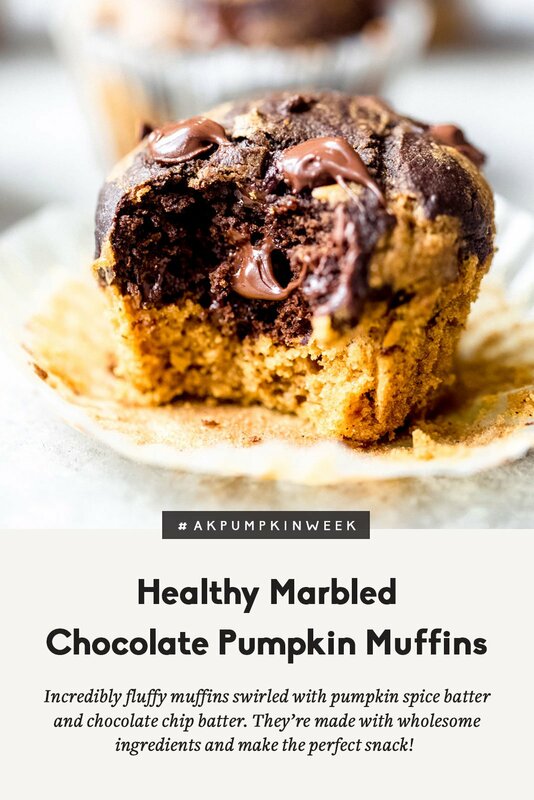 45 Responses to "Healthy Marbled Chocolate Pumpkin Muffins"
I can’t pin any of your recipes. Is anyone else having this problem? It’s fine on other sites. Help!These look amazing. Hi Lori! We’re looking into the pinning issue – apologies for any inconvenience. For now feel free to pin this recipe by clicking here! Yes, I have been having this issue, too! GIRL! I made these yesterday (with butter because I didn’t have coconut oil) and they are awesome! YES so happy to hear that! These are so beautiful! And on top of that, I’m sure delicious! They seem perfect for this season. Absolutely! They’re a great snack or healthy treat. YES, PUMPKIN WEEK! I am ALL about pumpkin. Kabocha squash, pumpkin puree for baking, pumpkin soup, pumpkin curry, pumpkin pancakes, and so much more. These muffins look absolutely glorious with the rich chocolate aspect of the batch. Chocolate chips on top too? WINNING. If I do make this recipe, I’ll be sure to sub the eggs for flax eggs! Can i use all purpose flour if I don’t have pastry flour? I sifted together whole wheat and AP flour and sifted. Great texture. I can’t seem to pin any of your posts anymore. I keep getting messages that “This site doesn’t allow you to save Pins.” I’ve tried various methods (browser button, Save icon on pictures, going straight through Pinterest…) with the same result. what can replace eggs for vegan option? Hi! 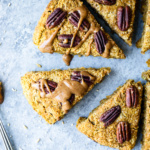 The notes section of the recipe tells you how to make these vegan. Amazing!! So happy to hear that, Brit. How do you think spelt flour would fair in this recipe? Drooling. Spelt flour will work wonderfully. Hi! Could I substitute the flour with whole wheat pastry flour instead? Thanks! Cannot wait to try these! Would it be ok to substitute olive oil or vegetable oil instead of the coconut oil? Yes, definitely — both will work but I recommend a light olive oil. Had to sub the maple syrup for honey and pumpkin pie spice instead of all the non-cinnamon spices but they still turned out AMAZING! So puffy and round with a perfect texture/crumb. 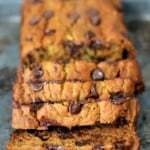 Not too sweet and the pumpkin and chocolate balance each other nicely! I’ll definitely make them again. Perfect! So happy you liked them! Can this be made into a loaf instead? How should it be modified? Thanks! Yep! There are instructions in the “Notes” section 🙂 Just layer the batter in a greased 8×4 inch loaf pan. Bake for 45-55 minutes or until tester comes out clean or with just a few crumbs attached. These are so amazing! A family hit! !I used whole spelt (I often use for breads and muffins). They were fluffy yet moist, just the right amount of sweet! I’ve made these 4 times already! Used Bob’s Red Mill GF flour blend… turned out great! Thank you! Hi Monique (fellow neighbor) ! I am writing from the coldest day ever in Chicago and looking up yummy recipes while my daughter watches Frozen 😉 Is the pumpkin puree from a can (same thing as a canned pumpkin?) Also, if I don’t have whole wheat pastry flour, can I use white whole wheat flour instead? Thank you!!! Stay warm and safe!